Start your car from virtually anywhere with your iPhone or Blackberry. 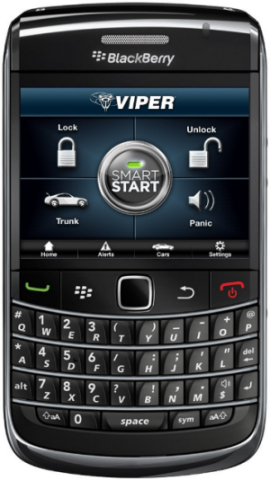 Remote start or lock and unlock the car just by pushing a button on the iPhone, iPod touch or Blackberry using the exciting new SmartStart app. Key Features: Controlled by unique SmartStart iPhone app or Blackberry App, includes one-year service plan. Compact GSM/GPRS module w/Integrated antenna, 5 minute installation – 2 wires plus ESP plug, that’s it! Compatible with premium Directed remote start or security/remote start systems including Responder HD, Responder LC3, Responder LE and 1-way Supercode systems. Includes: SmartStart Module with 1m harness, Quick install/user guides, and Full color, hanging retail package.